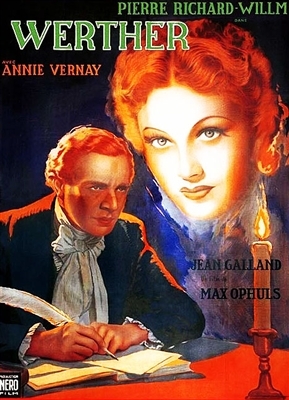 This film is also known simply as "Werther." From Goethe’s Sorrows of Young Werther, Ophuls’ version moves from the 18th to the 19th century, and transforms the dramatic tale of a doomed young man’s loss of his true love (Annie Vernay) to a friend (Jean Galland) into a romantic tragedy that focusses—in typically Ophulsian style—on the sorrows of the woman the poet Werther (Pierre-Richard Willm) cannot seduce away from her strait-laced judge-fiancé. A somewhat muddy print, but certainably watchable. Max Ophuls meets Goethe, a must see. A decent print. DVD was excellent. I haven't read the book but it is tempting to compare Ophuls to Goerte.